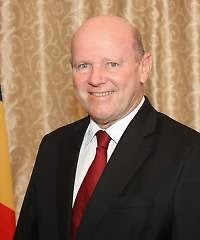 "Routes Conference Needs To Be Attended By Joel Morgan Not St. Ange"
The Seychelles Minister for Tourism & Culture, Alain St.Ange, has confirmed to the press that he will be attending the 19th World Route Development Forum due to take place in Las Vegas, USA, from October 5-8. This conference is set to be the largest Routes event to date and is expected to attract 3,000 high-profile delegates from more than 100 countries worldwide. The conference which is being co-hosted by the Las Vegas Convention & Visitors Authority and Las Vegas McCarran International Airport will be held in the Las Vegas Convention Centre and will mark the first time any Routes event has been held in the USA. The Seychelles Minister will be accompanied by Amy Michel, a Senior Marketing Representative from the Seychelles Tourism Board. 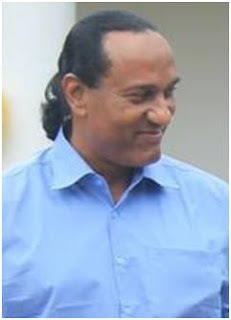 Tunis — The request for extradition of bigwigs of the former regime under letters rogatory issued to this effect was discussed at the meeting held between Minister of Foreign Affairs Othman Jerandi and Seychelles Foreign Minister Jean-Paul Adam, on the sidelines of the 68th U.N. General Assembly in New York. Director for Europe, and discuss a more aggressive approach for the airline when looking at the Seychelles. Mr. Mekonnen was accompanied for his meeting by Mr. Christophe Labiche, the Head of Product at Ethiopian Airlines France. 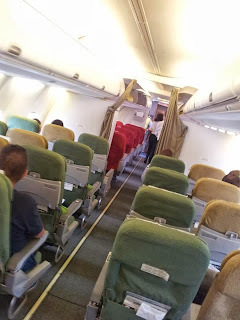 The meeting in Paris reviewed the approach in place by the Seychelles Tourism Board Offices in making the Ethiopian Airlines route to Seychelles more known among tour operators and travel agents. The Seychelles Minister welcomed the new drive by Ethiopian Airlines and assured Mr. Mekonnen the full cooperation of the Seychelles Tourism Board Offices. 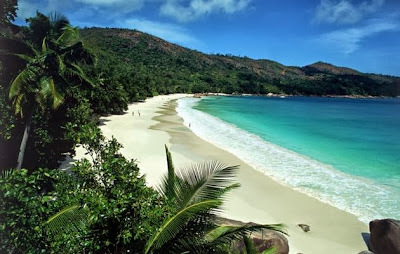 Recently, the Minister of Tourism annonced the Arrivals to Seychelles was 12% up from 2012. The Minister, was politely silent on yields, which is down- again. This means visitors coming to Seychelles are spending less, staying less nights and worse over all, it exposes the little detail that our Tourism product has departed the realm of exclusivity and high yield niche and is becoming a mass tourism type of destination, something we said we should avoid at all cost as a Country since we lack capacity for mass Tourism. I break down some issues that have been left unfettered and is the combined cause for the downturn in revenue which is real now to Government of Seychelles and the Trade alike. 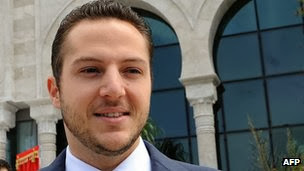 Last week, after years of legal battles in the Seychelles courts, Marek Trajter, a Slovak fugitive, on the run and hiding out in La Digue, evading the justice system in his country, was sent home by extraordinary rendition via private charter Lear Jet to Slovakia. 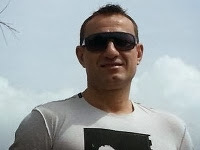 After three previous deportation attempts, via commercial flight failed, due to his non cooperation, at the crack of dawn of a new day, he was whisked from his jail cell, taken to the Seychelles International Airport, and loaded like baggage into a private jet for Slovakia. Once in the plane, and the door shut, taxi ensued, and then off he went, into the clear blue sky. The Government of Seychelles has failed; Corruption Prevailed. Deportation of Marek Trajter was a fiasco to prevent the real questions from every making it to the light of day. Since the minister was able to quote an exact figure and amount of bullets allegedl;y used or caused to be used by Marek Trajer in slovakia. 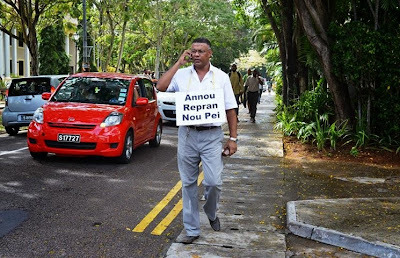 Why was it that when MR. Trajter claimed that he was coming to invest in Seychelles the paper trail of his money did not led to an interpole alert? Since FIU ensures that all amount invested in Seychelles are legally owned equity? 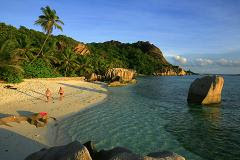 “After travelling to Seychelles many times this is my second home! I love the Seychelles and I love coming to Seychelles,” said Tali Dative, Owner and General Manager of Medraft Spirit, after her flight from Israel landed in Seychelles. 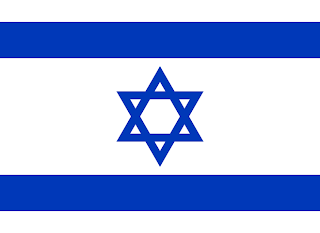 The arrival of the Israeli visitors at the Seychelles International Airport, was a colorful and lively affair. The National Cultural Troupe from the Seychelles Ministry for Tourism and Culture was at the arrival lounge, gaily singing and performing traditional Seychellois music and dances at the delight of the visitors. For some of the passengers of the landing in Seychelles this was their first time experiencing the bouncy and catchy sega, moutya dances – all performed in the colorful attires that have become the small group of islands in the Indian Ocean’s trademark as well as a good indicator of the people inhabiting this paradise’s characters. Seychelles burned in offices deal KHANYI NDABENI | 06 September, 2013 01:03 The Seychelles government has won a court case against a Pretoria attorney and her firm after a property deal for diplomatic offices went sour. Last month, the Johannesburg High Court ordered attorney Hester Coetzee and the firm Barkhuizen du Buisson to pay the Seychelles government R1.6-million, with interest dating back to 2010, plus legal costs. The Seychelles government claimed it was duped into agreeing to buy a 97m² unit in Lynnwood Park, Pretoria, in December 2009, for "diplomatic purposes" - only to find that the property was zoned for residential, and not business, use. Operating diplomatic offices from the unit would have been unlawful. The government paid the purchase price but moved out a few months later after learning of the zoning discrepancy. 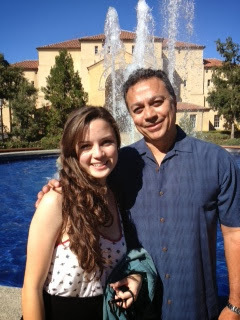 "SFP UN AMBASSADOR FIRST DAY AT STANFORD UNIVERSITY"
SFP-UN Ambassador Lillian Gill first day of school Stanford University. SFP and all freedom loving Seychellois wish her the best of luck. 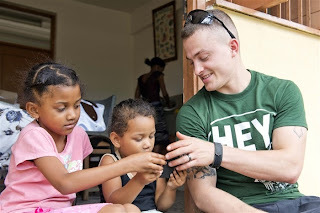 PORT VICTORIA, Seychelles, Sep 03, 2013 — Sailors and Marines aboard the amphibious dock landing ship USS Carter Hall (LSD 50) participated in a community service project, organized by the U.S. Embassy, at Beau Vallon School in Seychelles as part of the ship’s port visit, Aug 26. A total of 50 Sailors and Marines participated in the event, which allowed those involved to give back to the people of Seychelles. There were many weeds to clear and trash to pick up around the school. They also trimmed hedges and did a general sweeping of the grounds. A fresh paint job made the school look newer and neater for the kids who attend the school. I watched Dr. Henry Naiken Attentively while he revealed some positive thinking and energy ideas on SBC with Jude Louange. I was oriented non positive energy, and the power of the individual mind at an early age. It is critical that Seychelles change its approach to the problems it is facing today, that seemingly go unsolved, and worsen. We are living in a hole, that gets deeper and deeper, muddier and muddier each day. 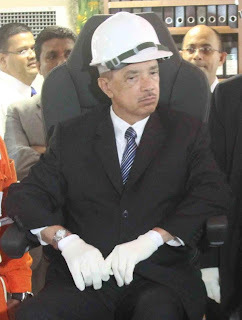 Let's look at some areas where we have lost focus as a Nation and perhaps Dr. Naiken's ideas can reorient the Nation into moving positive energy in the right direction for a better Seychelles, with better people: "the best we can become". The Seychelles islands in the Indian Ocean, better known for their pristine beaches and crystal clear waters, are the most indebted nation in the world, according to a new report released on Monday. The "debt league" compiled data on government debt and private debt and looked at how much a country owes as well as how much it is owed. According to this measure, the Seychelles tops the league of the most indebted nations, with national net debt at 152 percent of gross domestic product (GDP). In order of indebtedness, it is followed by Portugal, Ireland and Greece, countries which like the Seychelles in 2008, received international bailouts. The idyllic Indian Ocean archipelago of the Seychelles has been revealed as the world's most indebted nation, in a list compiled by campaigners. By including private borrowing from overseas by firms and consumers, as well as government debts, the Jubilee Debt Campaign says its data reveals the true scale of the burden on struggling countries around the world. The Seychelles, which received an IMF bailout at the height of the world financial crisis in late 2008, tops the list with net debts worth more than a year and a half's GDP. It is followed by four victims of the eurozone crisis: Portugal, Ireland, Greece and Spain.